Established by Christopher Howard in September 2011, In Terms Of publishes criticism of live speaking engagements in the visual arts, concentrating on events in New York City but with an eye elsewhere. The blog has examined talks by a wide range of players in the world of contemporary art—artists, historians, curators, critics, and graduate students—as well as scholars and professionals in the related disciplines of music, literature, philosophy, architecture, and design. 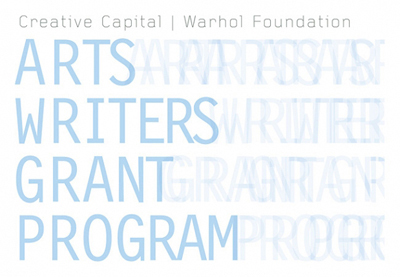 In Terms Of received a 2014 award from the Arts Writers Grant Program, a program sponsored by Creative Capital and the Andy Warhol Foundation for the Visual Art. Howard is the author of The Jean Freeman Gallery Does Not Exist (Cambridge, MA: MIT Press, 2018). For more information or to request a street address and/or a telephone number, please send an email to chris [at] christopher howard [dot] net. Like In Terms Of on Facebook and follow the publication on Twitter.